News this week that the taxman is set to take a record amount of inheritance tax for 2018/19 is perhaps not too much of a surprise. Most years the amount of inheritance tax paid rises. Arguably the least popular tax – sometimes called death duties, this is the tax that applies once you die to your worldly wealth. It is generally the case that if you are married, it is only paid once the both husband and wife have died. This final day of reckoning, tax-wise generated £4.5billion in the first 10 months of 2018/19. A new record high. It is surprising that despite complaining about the tax, most people do little about it. 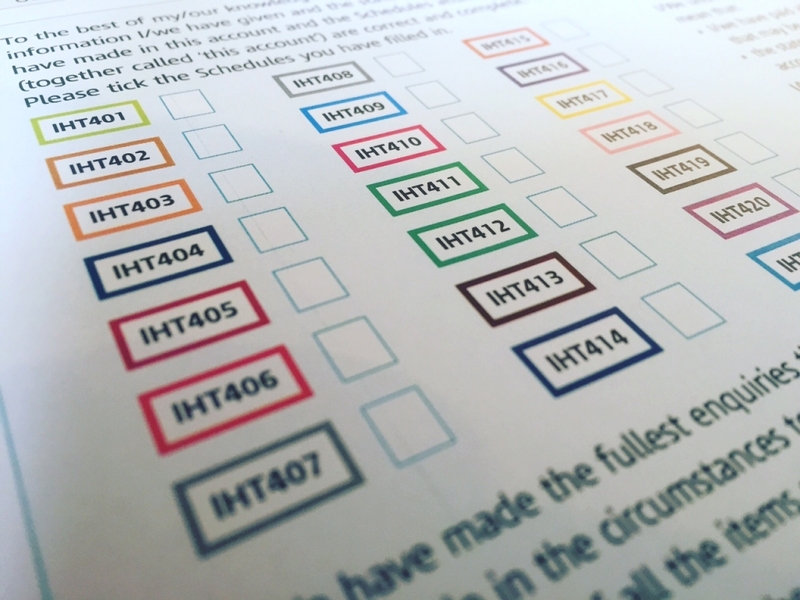 IHT is one of the few taxes that is avoidable by arranging your affairs sensibly in advance. 1. Consider taking out an insurance policy to pay the bill. Admittedly this has a cost and does not remove the bill, but it does enable your real wealth to be passed on to those you want to receive it, rather than the Chancellor. A simple joint-life second death policy placed into Trust will suffice. 2. Have a Will and review it. This will ensure that your estate is passed to the right beneficiaries and you may also nominate charities. Gifts to charities are exempt from any inheritance tax. 3. Know your limit. Everyone has a limit known as the nil rate band. This is the first £325,000 of an estate – the net value (assets less liabilities). If you have a property this can be increased (complicated but it will increase). Couples double up on these. You can find more detail within out FREE app about this. 4. Consider using IHT exempt investments, this is really not for everyone, but is certainly a possibility. The most basic being business owners have certain exemptions – technically known as BPR, as does owning woodland or some aspects of farming. You can also hold some AIM listed shares which will be exempt – but be warned all these options have pro’s and con’s. 5. Spend money from the right places. Under pension reforms, it is possible to pass on the balance of a pension fund free of inheritance tax. So if you have the option, you may wish to use up other investments that will be subject to IHT first. Context is everything and thought needs to be given to this from an income tax angle and investment approach. There are other options too, so if you would like to discuss how you can reduce inheritance tax please get in touch. However, if you are married and have a net estate worth less than about £1million you probably wont have any inheritance tax. And finally a reminder about our app, which is loaded with all this information. Inheritance tax has sometimes been described as a voluntary tax. This may ruffle your feathers a little, but is of course true in principle. That is to say that you can plan for inheritance tax. You do so by arranging your affairs in such a way that you either pay minimal tax, none or ensure that you have resources aside to make no significant difference. Despite this between April 2018 and the end of the summer (August 2018) a whopping £2.357bn was paid to the Treasury in the form of inheritance tax. This is almost as much as was collected in the whole of 2010-11. The Office of Tax Simplification has completed (8 June) a survey of the review of inheritance tax. This is currently being contemplated. The last Chancellor introduced a more complicated way to increase the inheritance tax allowance. What appeared reasonably generous, was actually conditional. The extra benefit, under certain condition could be lost. Those that remember “Yes Minister” might smile at the notion of the OTS asking how to do their job. That is to say, the Office of Tax Simplifcation, asking “how do we simplify IHT?”. For starters, do what you are meant to do and make it simple. The debate about whether IHT is “moral” or “political” is probably a secondary issue to it being at least “simple” which currently… it is not. The survey poses more questions, which largely seem to be concerned with record keeping rather than adjusting the rate or rules. However as only around 5% of estates pay IHT, perhaps the issue is one that most people are not as bothered by as the news outlets suggest. However, the survey makes an interesting read, highlighting all the current “issues”. See the survey here. You may have noticed that I wrote a series of pieces on inheritance tax, three years ago how gifts are recorded and the forms that you could even download and prepare for your beneficiaries. You can find these here. What if you had died yesterday? How does HMRC know about gifts? 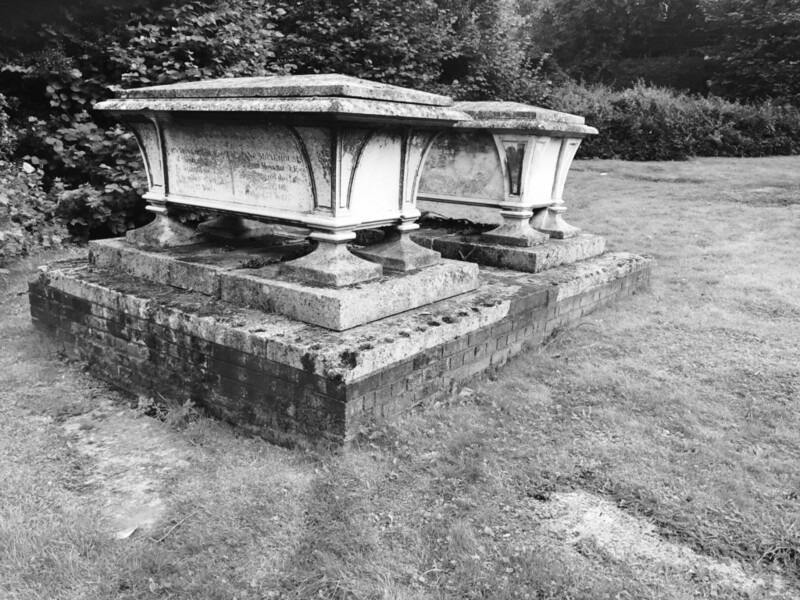 Paying inheritance tax when someone dies is not always straight-forward. The term “estate” is perhaps misused, it should really mean “death” and when one person in a marriage dies, there is no inheritance tax by default. The amount of IHT collected continues to rise each year. Consider each of these tax years. The last film starring Harry Dean Stanton is now on general release. This is the story of Lucky, (Harry Dean Stanton) a man who has survived everything. His quaint daily routines in small-town USA may help to explain his longevity but never explain his story. We see an elderly man living his daily rituals, a wash, morning yoga, cigarette, coffee, walk to the corner shop to buy cigarettes followed by stopping at the local café for the never-ending supply of coffee and time to sit to solve crosswords. Home to unwind and watch some day-time TV quiz shows, a call to a friend to exchange word for the day, followed by an evening visit to the local bar for a Bloody Mary… or two. Repeat. His demeanour often grumpy, somewhat cantankerous, he delivers pithy quips to those around him. At first he appears not to care much about for them, but of course this isn’t really the case. One day he falls at home, prompting a comical trip to his GP, (Ed Begley Jr) who is confounded at how Lucky is still alive, given his packet-a-day smoking habit. He is lucky. The episode prompts him to reflect more deeply on the meaning of his life and we see how his community responds to him, who are clearly able to see beyond the somewhat grouchy persona on display. Equally Lucky seems able to retain a lightness about himself, that accepts others and seems to find a level of intimacy with them that is both charming and real. Lucky has a feisty, blunt exchange with Bobby Lawrence, (Ron Livingston) to be honest I cannot remember if he was an insurance salesman or a lawyer, but either way he is attempting to ensure Howard (David Lynch) organises his financial affairs. There is certainly a suspicion that Bobby does not play a straight-hand as Howard now seems to have nobody except his tortoise, Roosevelt, which invokes some mirth and some wonderful metaphors. Lucky: He’s gone, Howard, and you’re all alone. We come in alone, and we go out alone. Lucky: It’s beautiful. “Alone” comes from two words, all-one. It’s in the dictionary. There are some fabulous lines about mortality, but essentially the film is about how Lucky comes to a sense of acceptance, albeit with anxiety, about his end. This is served up in recalled memories of the worst day of his life, a traumatic WW2 memory shared by a fellow vet Fred (Tom Skerritt) who met courage in a 7 year-old girl, “the sort that they don’t have medals for”… and a heart-warming scene for a 10 year-old Juan’s Mexican family birthday party. Lucky he is indeed, for those on whom he made an impact and those that impressed friendship, or at the very least, a sense of connection upon him. In the final sequence, Lucky exits stage left after a knowing and rather wry wink to camera. There is something in the movie that resonates with my sense of unvarnished truth. Lucky has his and delivers it without request or warning. I hope that I do not do the same, but fear those that know me best would probably recognise it. Then again, I’m also like Bobby Lawrence trying to guide people to plan sensibly for their end… though I hope without the inferences of being a beneficiary of the Will! As ever, many will have a very different reaction to this film, not much happens over 88 minutes, then again everything happens in 88 minutes. I can report that the acting was rather good, (Vanessa Kirby and Eric Kofi Abrefa to name two key performances) but to be blunt, this was a play that I simply did not care for. The dialogue was awful and reminded me of various unpleasant characters. It was meant to be reworking of August Strindberg’s play Miss Julie, but it felt dated and done before, many times before, but rather better. The basic background premise is one of a sense of being trapped by circumstance. In this case rich it-girl with the traumatic experience of being the first to find her mother following her suicide. We can only guess why, but mine is that the mother also felt trapped in a life of luxury, lacking any meaning or any significant connection with her obviously wealthy, materially successful but invariably absent husband. The resulting wealth used as the justification for a lack of presence. The price of “success” and the excesses are its ongoing punishment. Julie, who has no money of her own, because it is held in Trust “because she is irresponsible with it”. She certainly is irresponsible, but whether this came before or after the Trust fund is one of the few talking points. I’m not a fan of Trusts (a bit odd for a financial planner to admit) but living from someone else’s money rarely has a good outcome and to put it bluntly, those that do best are the legal advisors, all (mainly) to avoid the clutches of a divorcing spouse, which from my point of view merely sets up the prospect of not living with the consequences of actions. A Trust might be a suitable metaphor for many elements of the play, the lack of trust between parent and adult child, the lack of trust between a self-serving man and a woman. The lack of real trust between a socialite and her maid… I could go on. Trust is quickly sacrificed for pleasure, or perhaps relief from the trappings of situation. Do You Trust the Trustee Savings Bank? So, who to trust? What is the price of trust and should you ever trust anyone? The truth is that we all must, being human we will be failed, but not trusting makes for miserable existence, albeit possibly right in a few instances. Trusting any adviser is hard, trusting someone else with your money is one of the most difficult realities. Consider the recent muck up at TSB – Trustee Savings Bank, an utter fiasco. Advisers and the financial services industry must do an awful lot to shift the default setting of “mistrust”. Yet when it comes to your financial planning, this is what you need to remove. Any decent adviser will build trust over the years, by keeping promises, doing what they said they would do, looking after all your financial “stuff” and communicating in plain words. One of the natural problems of having a significant amount of wealth, is that it tends to attract the wrong people, like bees to a honeypot. The opening scene of Julie reveals a birthday party composed of people that she neither knows nor likes, friends they are not. We can all probably think of people that have been parted from their money by their acquaintances. Never underestimate the positive power of a proper financial fiduciary. Its not simply what we do, its also what we do not do, which includes not putting a hand in the till – or in this case the blender. Here’s a promotional video from the National Theatre for Julie. Power of Attorney – Are you due a Refund? News from Alex Truesdale today in relation to possible refunds for recent Power of Attorney. WHY HAS A REFUND BEEN OFFERED? When LPAs/EPAs are registered, a fee is payable to the Office of the Public Guardian, of £120 or £110 per LPA/EPA, which in some circumstances was reduced by 50%. In an announcement made by the Ministry of Justice yesterday, partial refunds are being offered to those who applied to register for powers of attorney between 1 April 2013 and 31 March 2017 (you don’t need to know precisely when you applied). This applies to lasting powers of attorney (LPA) and enduring powers of attorney (EPA) made in England and Wales. You can make a claim if you’re the ‘donor’ – the person who made the power of attorney, or an ‘attorney’ – appointed by the donor in an LPA or EPA. The refund must be paid to the donor – or to his/her estate if the donor has since died and may take up to 12 weeks to appear. You only need to make one claim per donor, even if you made more than one power of attorney. WHAT IS THIS WORTH TO ME? How much you get depends on when you paid the fees – see table below. You’ll also get 0.5% interest. You’ll get half the refund if you paid a reduced fee (‘remission’). You’ll need the donor’s UK bank account number and sort code. CAN ALEX TRUESDALE WILLS LIMITED APPLY FOR THE REFUND FOR ME? Unfortunately no – only the donor or the attorney is able to apply. I HAVE FURTHER QUESTIONS – WHO CAN I CALL? 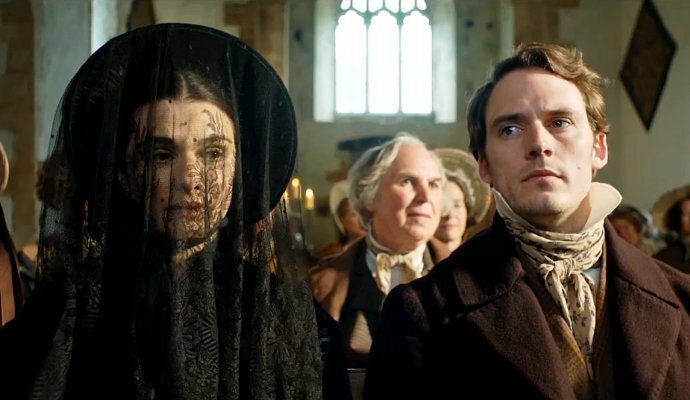 There’s a new reworking of Daphne Du Maurier’s 1951 story “My Cousin Rachel” that is currently in cinema’s. A romantic throw-back to a time when men wore britches and women had little to call their own, thank heaven we have moved on. This is perhaps a timely reworking of the story, visiting the issue of inherited wealth with a passing nod to the patronage of the landed gentry, whilst their labourers gather the proverbial scraps from under their table. As a somewhat naïve and hot-headed young man, he is mesmerized by his cousin’s widow when she arrives at the estate. All plans to punish are swiftly reversed and forgotten, because he “likes to look at Rachel”…. 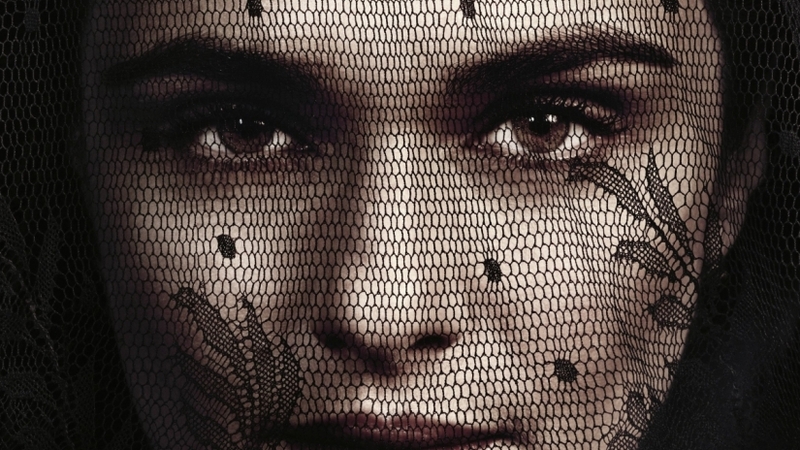 who is played rather brilliantly by Rachel Weisz. I will not reveal any more of this thoroughly enjoyable tale, which will perhaps get you reflecting on whether women are viewed any differently today than they were then. In fact to say any more would not help your own reflections. However, I can say that the story is an example of why you need to have a Will and that it is reviewed regularly. Moreover (a word I use knowing the angst caused for my old French teacher, who swore it was redundant) it also displays some of the pitfalls of a Trust, or at least a Trust that reverts to a beneficiary who is only 25 and is unhelpfully naïve and besotted. This is a common financial planning problem – at what age should someone inherit wealth? particularly a life-defining amount. For all the planning that can be done, this will inevitably boil down to how the Trust was established and who the Trustees are and to be blunt, how responsible the beneficiaries are. In the story, Philip can rely on the steady hand of family friend and Trustee Nick Kendall, (Iain Glen) who whilst being a voice of reason, is also compromised by his hope that his daughter Louise, (Holliday Grainger) will marry Philip and thus be financially secure. The Kendall’s suspicions are alert for conflicted reasons. Often selecting a Trustee can be a difficult task, the basics are that they must be at least 18 years of age and of sound mind, and not held at her Majesty’s pleasure. Many clients will of course naturally wish to select family members or friends, there is nothing wrong with this, except that most families have at times, strained relations. Friends may change. The responsibility of being a Trustee or Executor is no small matter – just ask anyone that has been one (or is). This is why these important legal documents, which assure your beneficiaries of your provision, are reviewed regularly. In our post-modern society, people move around the world, not simply the county. Death at a distance (a fate that befell Ambrose) is rather more complex than that wedding you have been invited to abroad. So when selecting Trustees, always use your head which may well conclude that those that share your surname are indeed the right people, but do think about this carefully. I doubt there are many people over the age of 40 that do not know about the assassination of the American President… number 35, John F. Kennedy. One of the most iconic Presidents of American history helped somewhat by the charms of his wife Jackie. It is likely that you would have seen more than one movie about JFK, but not that many about his widow Jackie. The film is of course, centred upon the assassination and its immediate aftermath. Retold, this time, from the given perspective of the then First Lady. 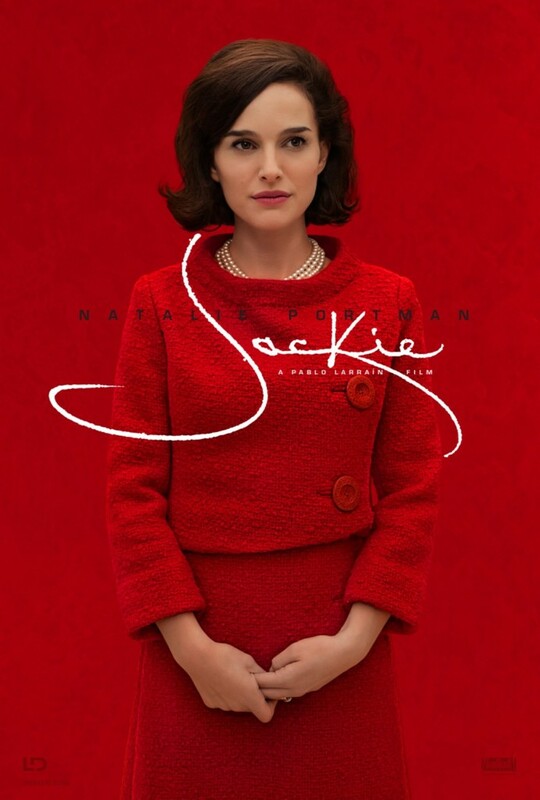 Jackie Kennedy (played by Natalie Portman) suddenly became a widow at the age of 34. Her husband 12 years her senior had only been President for 2 years 11 months. Yet their brief “Camelot” was full of incident. Grief is of course a daily reality. We all lose people that we love. It is a deeply painful experience. When the effective Head of State is assassinated, an entirely different set of circumstances are presented to the grieving family and friends. There are practicalities of a ceremony to which dignitaries are expected. In this case JFK was killed on Friday and buried on Monday. This is set against the backdrop of anxious security forces on high-alert, not yet knowing the who, what, how many or why JFK was assassinated. A hasty usurping of position and removal from a home, albeit a temporary one. How to “behave” and conduct oneself? It is perhaps reminiscent of the thoughts that must have concerned the Royal Household when Princess Diana died nearly 20 years ago, albeit in very different circumstances, but the same dilemma – how to display grief. The film touches on the wider context. Only 15 weeks earlier, the couple had lost their third child Patrick, just 2 days after her was born to infant respiratory distress syndrome. On Friday 22 November 1963 JFK left a wife and two small children, Caroline 5 and John 2. Both children had their birthdays that later that month, John Junior’s was the day of the funeral. Tough for any “normal” family to come to terms with. Certainly Jackie would be entitled to call 1963 her “annus horribilis”. Life assurance does not provide comfort. The financial services industry has always struggled to market life assurance and persuade people of its merits. It is a product that is only payable when a horrible event happens. What it does provide is the financial resource to continue, to go on, as gradually those left behind rebuild their lives. I have witnessed the benefits of life assurance and the strife caused by not having enough. I cannot overstate how important it is. The question of how much cover is really required will vary from person to person and how well resourced you are. It will also depend on how you have arranged your Will and your estate. It is unlikely that your loved ones will be under the degree of pressure that Jackie faced, within the eye of the world’s media. However, you can plan to make any such event considerably easier than it might otherwise be. It is time to ensure that your own house is in order. Here is the trailer for the film, for which Natalie Portman has been nominated for an Oscar as Best Actress in a leading role. 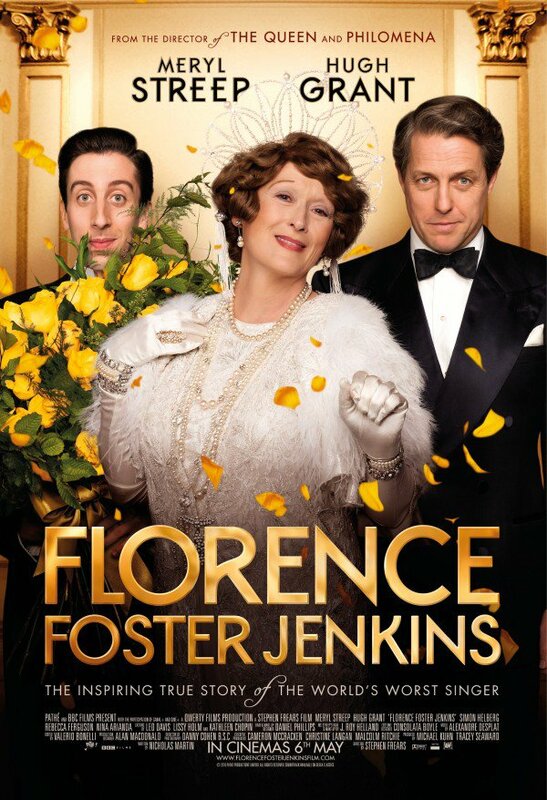 How we respond to money is explored in the new film by Stephen Frears “Florence Foster Jenkins”. The film recounts the true story of the wealthy musical benefactor played by Meryl Streep. 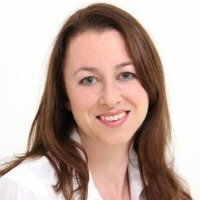 Sadly she does not possess the singing talent that she so desperately craves, yet a doting and financially dependent husband (Bayfield) played by Hugh Grant, contrives to protect her in a bubble of innocence, a charming modern day PR man. In practice, this protected them both. The delusion is maintained through some creative and tender manipulation of a largely uniformed social circle, who pass the entrance test of wealth, yet clearly have a lack of knowledge about music. In reality this exposes their own hunger for social standing and are caught by the inability to speak the truth for fear of being outcast. There is no malice in the contrivance, but reminds us again of the impact of crowds and fear of being different, something more like the Emperor’s new clothes. I was surprised how much I enjoyed the film, it is warm, funny and moving. This, despite essentially being a story about the ultra-rich, living in denial of any form of reality and for whom success is bought. The strong character performances carried the suggestion that denial and delusion are arguably just as important as the truth, a sentiment that Shakespeare frequently conveyed. Perhaps in relationships denial of some realities (we all have flaws) is even a necessity. I won’t spoil the film for you, do go and see it. As a financial planner, I would draw your attention to the briefcase and the lengths that people go to avoid the harsh confrontation with reality. 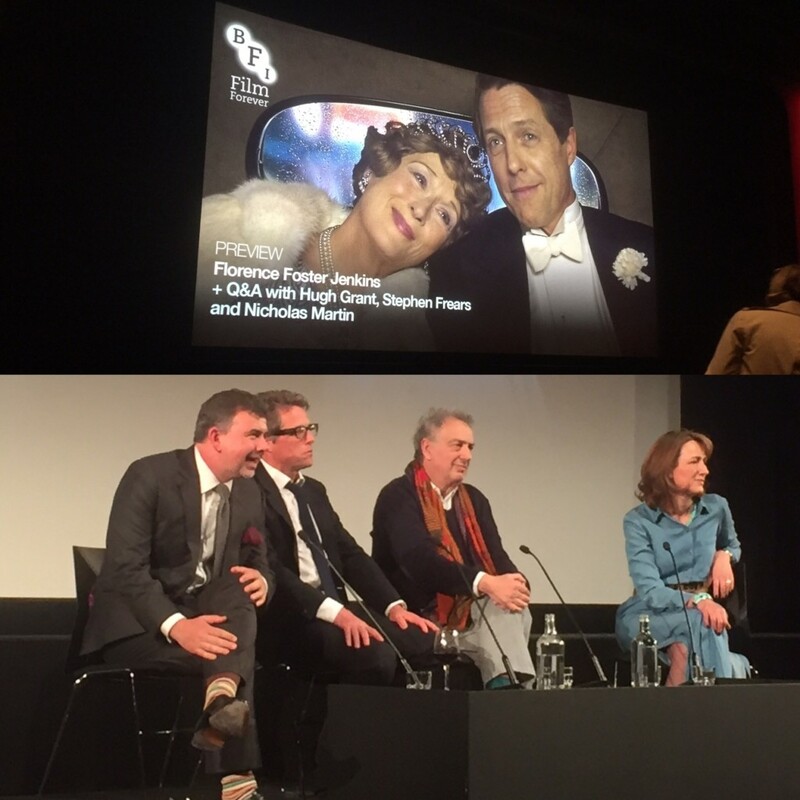 The Q&A at the BFI last night with Hugh Grant, Stephen Frears and writer Nicholas Martin was also illuminating, ironically employing similar delusionary tactics to protect Florence, the audience and probably the box office. This is of course is the skill in great story-telling, how to edit and reassemble a story that shapes opinion, of course the political interpretation is ever present. So the question is, what are we in denial about? Some denials are probably healthy and serve our own interests, other – such as the truth about your own finances is rather more vitally exposed, not harshly, but so that reality can bring about a healthy perspective. If you would like a financial reality check, you now simply need to get in touch – contact details all over the site. Here is the trailer for the new film. You will recall that I have been blogging about various HMRC inheritance tax forms, and last week I also discussed Power of Attorney and the Court of Protection. Today I am high-lighting some planning opportunities that address these issues in a practical way using BPR – or Business Property Relief. Inheritance Tax (IHT) is the second most resented tax in the UK. IHT is currently payable at the rate of 40% on an individual’s estate which exceeds the ‘nil rate band’, currently £325,000. Estates which comprise a family home and few other assets can incur a large tax liability. There are many options available to those who wish to mitigate their estate’s IHT liability. Trusts and gifting are the most common strategies employed, but both take 7 years in order to be fully effective. For clients who are elderly or unwell, this is often too long a timeframe. Business Relief, or Business Property Relief (BPR) as it is commonly known, is a UK IHT relief that was introduced by the Government nearly 40 years ago (7 April 1976). It was designed to allow business owners to pass on businesses to beneficiaries without incurring an IHT liability. In 1996, it was made more widely available to private investors and now allows any qualifying investment held for at least two years, and at the time of death, to benefit from 100% IHT shelter. Most unquoted, UK registered companies will qualify for this relief. This two year timeframe makes this form of planning the quickest way of sheltering assets from IHT. Another area when BPR could be of use is when Power of Attorney (POA) is in place. Take a look at this example. Mrs Jones is 70. Her son has Power of Attorney (POA) over her financial affairs and due to her poor health, he can make financial decisions on her behalf. Gifting and trust planning may not be possible in this case, because a number of restrictions exist to avoid attorneys abusing their positions. One of the main rules states that attorneys cannot give away access to a donor’s (Mrs Jones) funds, without applying to the Court of Protection for approval. Trust work and gifting both involve a change of ownership and it would be difficult for Mrs Jones’ son to successfully put either in place. It may also be unsuitable given the 7 year timeframe and Mrs Jones’ health status. Mrs Jones’ son could, however, invest in a BPR qualifying company/a portfolio of companies on her behalf. Since the investment remains in her name, he has not changed the ownership for the funds and since a BPR investment only requires 2 years to become effective for IHT purposes, it may be the most suitable option. Unquoted companies are usually riskier than those listed on a major stock exchange. Whilst there are a number of risks associated with investing in unquoted companies, many investment companies offer BPR investments that target capital preservation. These investments involve companies with long-term, index-linked and stable cash flows. Want to know more? just get in touch. Clients will know that I advise everyone to arrange Power of Attorney. Often people believe that because generally older people are the ones who suffer from loss of faculty, only the aged need Power of Attorney. I would suggest that this is a very dangerous assumption to make. Anyone can find themselves unable to make their own decisions. Being hospitalised due to an accident and being “comatose” would be one example. As society becomes rather better at understanding mental health issues (slowly) this can also result in the need for a Power of Attorney. In essence, an Attorney is meant to act in your interests, as though they were you. This prevents the stressful and lengthy process of going to the Court of Protection, which, like many State institutions is currently “swamped”. A Power of Attorney is rarely overturned, but last month just such a case occurred. 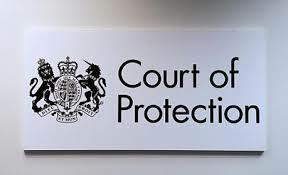 On 13th October 2015, the Court of Protection revoked the powers of an attorney who charged his elderly mother expenses of £117,289 for visiting her in her nursing home and acting as her attorney. The attorney applied the daily charging rate that he used when he was a self-employed independent consultant. The judge made the comment that ‘one would be hard pressed to find a more callous and calculating attorney, who has so flagrantly abused his position of trust’ with Senior Judge Lush adding that ‘charging one’s elderly mother a daily rate of £400 for visiting and acting as her attorney is repugnant’. Even though the son, Martin is named as the sole beneficiary of his mother’s estate, attorneys must never take advantage of their position or profit from it, apart from receiving gifts where the law allows it. When Martin suggested that the appointment of a panel deputy would be a waste of time and money because his mother’s estate is effectively already his. Senior Judge Lush disagreed, stating that, “the panel deputy will, for the first time in eleven years, place Sheila at the centre of the decision-making process, rather than view the preservation and enhancement of Martin’s inheritance as the paramount consideration”. For more details of the case click here.